Following on from a record year in 2017, 2018 was also a very good year in terms of activity. Proof of the buoyancy of the Lyon market, all the round table participants announced that they were pleased with their respective results. "Significant sales and revenues up by 5% compared with 2017, which was already at a record level for ten years,” smiles Nicolas Devic (Mercure). "The third good year in a row is confirmed with significant sales at the end of the year,” explains Christelle Mosnier (R du Montellier Immobilier Sotheby’s). Angélique Grasso (Avenir Investissement) has seen growth of 10% to 15%. Gérald Chatel (Barnes) reported a strong increase in sales i.e. 34% in the first half of 2018 and 28% in the second half with an average sale time of just 58 days. “Buyers are making their minds up more quickly,” he adds. As for Romain Billard (Akso), apart from a few “ups and downs”, on the whole, the year was very good. In 2018, French notaries reported average price rises in Lyon of around 8.5% in just one year while prices for high-end properties rose even higher. “The increase is around 15%,” explains Gérald Chatel. “In the 2nd and 6th districts, the prices are through the roof,” says Romain Billard. “An average apartment in the 6th is selling for around 5,000 Euros/m2 at least. For the most prestigious addresses, you’re looking at about 7,000 Euros/m2. This rise is due to the shortage of available property,” he adds. Christelle Mosnier has noticed that in these sought-after neighbourhoods, sales happen quickly mainly owing to buyers from Paris who are “familiar with the formalities.” Due to these rapid sales “owners are becoming more demanding,” explains Angélique Grasso. The consequences? Prices are rising significantly. “There’s a lot a pressure and the market is overheating,” confirms Nicolas Devic. Does this mean that properties in Lyon have reached their limit? Gérald Chatel is categorical: “Prices in Lyon started out low. It’s a game of catch-up. Until 2011, there was still a lot of available property. Prices have gone up. However, compared to other European cities there is still room for manoeuvre. Lyon is very desirable thanks to its high standard of living." Among the top sales of 2018, Gérald Chatel gives three examples; a 331-square-metre apartment in Place Bellecour, which sold for 2.1 million Euros, a 121-square-metre home in Confluence, which went for 950 000 Euros, and finally, three apartments with balconies in the 6th district of Lyon. 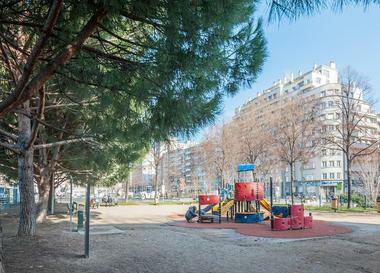 Romain Billard recalls a 137-square-metre apartment in Montplaisir in the 8th (6,000 Euros/m2); a lovely apartment (130 m2) with a balcony overlooking the park in the 6th that sold for 910,000 Euros, and an apartment (110 m2) with a large balcony (120 m2) that went for 900,000 Euros. 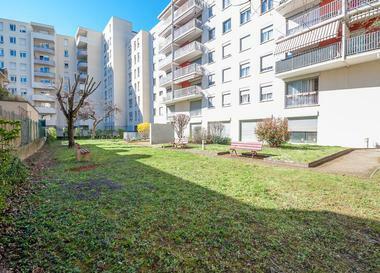 Angélique Grasso cites the sale of a 350-square-metre property in need of work in the 3rd district with land (1,200 m2) that sold for 1.2 million Euros. There was also a beautiful country house (225 m2) in Caluire that went for 850,000 Euros, and an apartment on Boulevard des Belges in a 1960s building that sold for just over a million Euros. 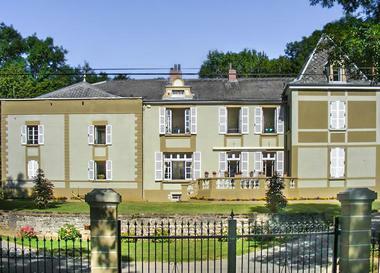 Christelle Mosnier recalls a renaissance-style house on the slopes of Fourvière that sold for 2.3 million Euros, while Nicolas Devic a château property in Caluire. When it comes to advice about whether to invest in Lyon or in its outskirts, Gérald Chatel believes that it entirely depends on the buyer’s preferences and personality. “In Lyon, you can find a good standard of living everywhere. However, the 7th district on the left bank has become more popular over the last five years. Prices have risen significantly in this area. As for Monts d’Or, it remains the star location along with Saint-Cyr and Saint-Didier.” Romain Billard believes the determining factor is location and transport links i.e. proximity to a Metro station. “In this respect, Montplaisir is a great neighbourhood with good transport compared to Montchat for example.” Angélique Grasso considers that prime locations are the safest bet but “you have to be adventurous and shouldn’t hesitate to take risks.” For example, Grand Lyon, Confluence, Vaise and Montplaisir. The 2nd, 5th and 6th districts are at the top of Christelle Mosnier’s list, as well as the 1st and Croix-Rousse, which offer “beautiful properties being renovated”. For Nicolas Devic, Presqu’île is still highly desirable along with the 6th, Caluire, Croix-Rousse, and Villeurbanne “thanks to its purchase discount.” Oullins, which will soon get the Metro, is an area to watch. All the round table guests are optimistic for 2019. “Growth will continue. The year is set to get off to a good start,” predict Romain Billard and Nicolas Devic. “Bricks and mortar are still the preferred investment of the French,” explains Angélique Grasso. On the downside, Gérald Chatel thinks that potential buyers will reject unjustifiably high prices. Christelle Mosnier agrees and predicts slower prices rises. “Prices will find their level. Sectors that are seeing increases of between 10% and 15% will run out of steam despite the strong buying power of Parisians,” she explains. “It’s up to real estate professionals to balance the sometimes ridiculous demands of vendors. Changes in interest rates will also need to be closely monitored,” adds Angélique Grasso. In the meantime, there are myriad reasons to invest in Lyon: “It’s a pleasant city, not too big and with a range of upgraded properties and high-quality developments. Lyon attracts a demanding clientele who want what Paris and London have to offer,” explain Romain Billard and Nicolas Devic. “Perfectly located, Lyon offers a more peaceful pace of life. Plus the Elan law will help create new homes i.e. by making it easier to transform former offices into housing and limiting the abusive use building permits to create a truly dynamic property market!” adds Angélique Grasso. Very affordable prices, luxury hotels, 17 new routes from Lyon airport, eight golf courses, outstanding universities, and a major business school in the 7th, all combine to provide families with an excellent living environment and a gateway to the world To sum up, Christelle Mosnier is categorical: “Lyon is at the top of its game!"